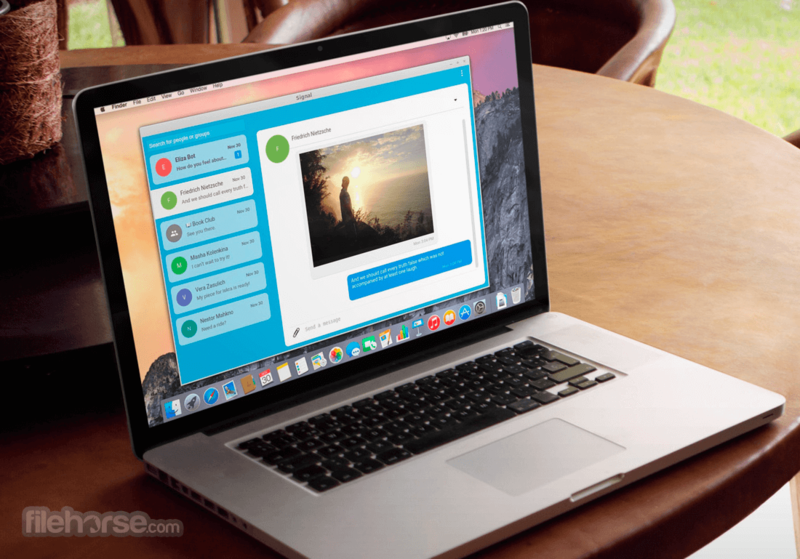 Signal Desktop Brings Secure Messaging to Your macOS! 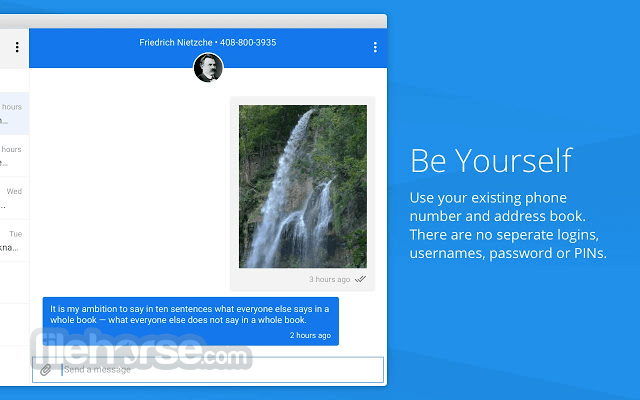 Signal Desktop for Mac is fast, simple, secure messaging for the Mac desktop. It now runs independently of your browser, so, if you’re a Firefox or Safari user, you don’t need to install Chrome to send and receive Signal messages on your computer anymore; if you’re a Chrome user, having your browser open will no longer be synonymous with having Signal Desktop open. Signal Desktop for macOS brings the trusted private messaging experience of Signal to the Mac desktop, with a simplicity that allows you to seamlessly continue conversations back and forth between your mobile device and your macOS. As always, everything is end-to-end encrypted and painstakingly engineered in order to keep your communication safe – allowing you to send high-quality private group, text, picture, and video messages for free. Send high-quality group, text, voice, video, document, and picture messages anywhere in the world without SMS or MMS fees. Signal Desktop can message anyone on Signal. Make crystal-clear voice and video calls to people who live across town, or across the ocean, with no long-distance charges. Signal uses your existing phone number and address book. There are no separate logins, usernames, or PINs to manage or lose. 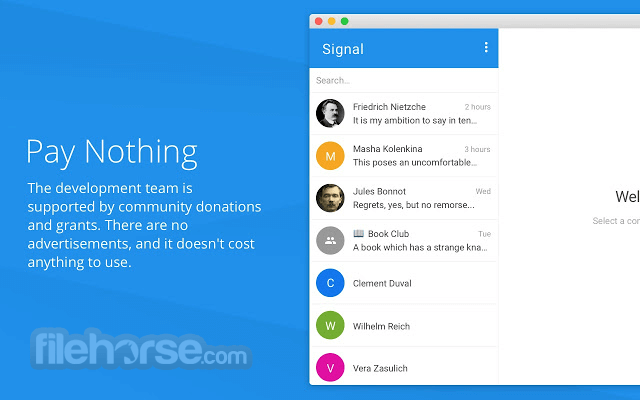 Signal for Mac is supported by a team of dedicated developers, community donations, and grants. There are no advertisements, and it doesn't cost anything to use. Signal messages and calls are always end-to-end encrypted and painstakingly engineered to keep your communication safe. We can't read your messages or see your calls, and no one else can either. Keep your chat history tidy with messages that you can set to disappear. Choose different disappearing message intervals for each conversation. Everyone in the thread shares the same setting. Good memories will last even if the words vanish. Signal for macOS is made for you. As an Open Source project supported by grants and donations, Signal can put users first. There are no ads, no affiliate marketers, no creepy tracking. 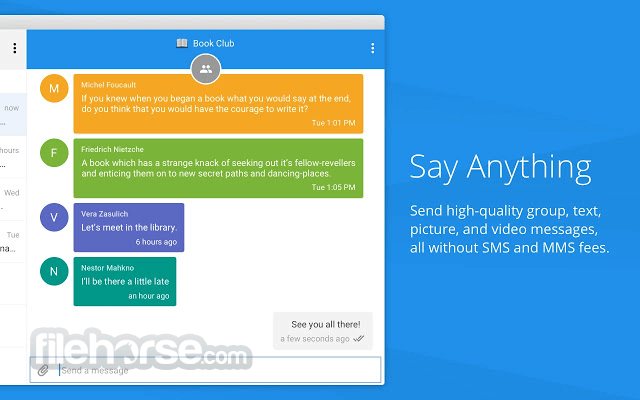 Just open technology for a fast, simple, and secure messaging experience. The way it should be. Note: Requires Installed iOS or Android app.